Police Officer Arthur Lopez was shot and killed while attempting to arrest a hit-and-run driver at the intersection of 241st Street and Jamaica Avenue. Officer Lopez and his partner observed a vehicle they believed had been involved in the hit-and-run accident near the border of Nassau County and New York City. The officers followed the vehicle into Queens, where they conducted a vehicle stop. The subject opened fire on the officers after they approached and exchanged words. Officer Lopez, who was not wearing a vest, was struck in the chest. The subject then fled in his vehicle. He abandoned his vehicle and carjacked a citizen, fatally shooting the driver. Officer Lopez was transported to North Shore Long Island Jewish Hospital where he succumbed to his wounds. The subject was arrested several hours later and was suffering two self-inflicted gunshot wounds. He was identified as a former convict who had served four years for attempted murder. 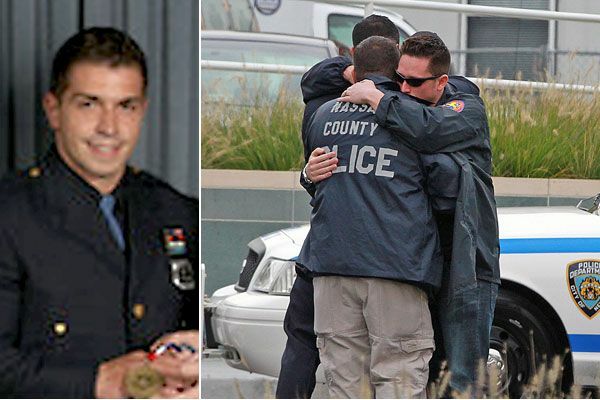 He was subsequently arrested, charged and convicted with two counts of first-degree murder for murdering Officer Lopez and the civilian. He was subsequently sentenced to life without parole. A second subject was arrested and charged in connection with providing the subject with the firearm used to commit the murders. 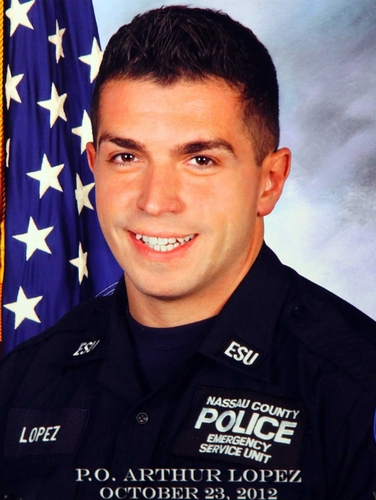 Officer Lopez had served with the Nassau County Police Department for eight years and was assigned to the Emergency Services Unit. What I should do cause it was a license plate light and he said to just fill out a form and what not and I saw on the counter a news article stating he died and a flashback hit me. The flashback was I remembered him pulling me over and the kind gentleman he was. I’m reflecting almost 3 years after the incident with this awesome individual. I miss him and I didn’t even know him but this guy really sought to make the world a better place and I could see that just the one time I encountered him. R.I.P Officer López you are amazing :(.